Data compiled by the Parliamentary Budget Office shows there were 3,865 "information services" employees on the payroll at the end of the 2011-12 fiscal year, that's an increase of 15.3 per cent since the Conservatives came to power in 2006. The federal government employs nearly 4,000 communications staff in the public service, an increase of 15.3 per cent since the Conservatives came to power in 2006. Data compiled by the Parliamentary Budget Office shows there were 3,865 "information services" employees on the payroll at the end of the 2011-12 fiscal year, up by 512 since Prime Minister Stephen Harper assumed office. The sharpest increases came in the two highest paid job classifications, where numbers jumped 33 per cent and 50 per cent, respectively. Government officials say information services have grown at a similar pace to the civil service and now comprise 1.8 per cent of the total, up slightly from 1.6 per cent of the workforce in 2006. 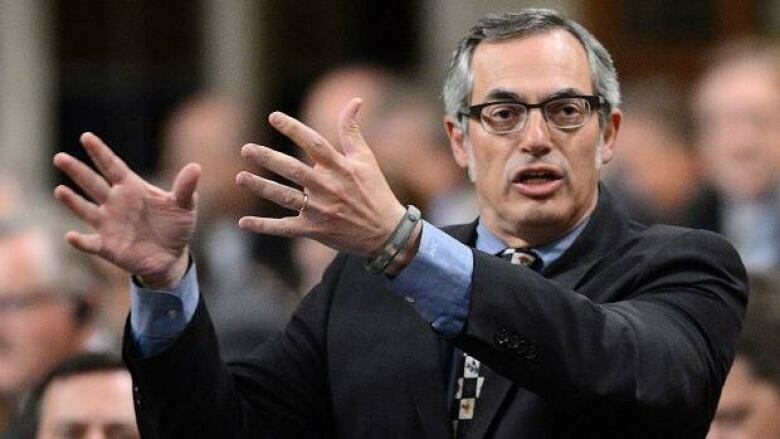 "There has been an information revolution which is seeing more data created in one month than what has been created in centuries," Matthew Conway, a spokesman for Treasury Board President Tony Clement, said in an email. "Having said that, the increases in (information services) are in keeping with the size of the workforce as a whole." The Harper government has come under fire for spending tens of millions of dollars on feel-good economic advertising and hundreds of thousands of dollars on media monitoring. At the same time, federal Information Commissioner Suzanne Legault is currently investigating a complaint that government communication rules are stifling public access to information on taxpayer-funded science. And in April, Legault issued a report on the federal Access to Information Act that said budget cuts that began in 2011 are undermining the system. The percentage of requests answered within the 30-day period specified by the Act fell to 55 per cent in 2011-2012, the lowest ever. Last month, Canadian Journalists for Free Expression issued a report that lambasted the Conservative government for its "culture of secrecy," and what the group's president called the "growing stranglehold on information available to Canadians." Ottawa appears to be struggling with same issues as governments across the country and the world: A breakneck-paced, 24-hour news cycle displayed across a multitude of platforms. Conway attributed the big jump in senior information service staff "to the complexity of work and the need to respond to a 24/7 news environment." "Parallel to that has been the increase in information being made public through the Internet and the rise of new information channels through social media," added the Treasury Board president's spokesman. This past spring, an investigation by The Canadian Press found that Nova Scotia's government communications bureaucracy has tripled its budget in the last decade. "For all of the money that is spent on media personnel in the government, they do a terrible job at explaining to the public and the media why this is necessary," Alex Marland, a political scientist at Memorial University in St. Johns, NL., said in an interview. "It's ultimately seen as a manipulation issue and spin and evil and wrong and anti-democratic. The reality is there are perfectly good reasons why this is done." Treasury Board says information services include: writing, editing, media monitoring, media relations, strategic planning, publishing, social media and internal communications. Governments are now expected to react publicly to events while they're still unfolding, and that swift reaction is then distilled in a multi-media cauldron that requires a further response. As a result, governments naturally "attempt to centralize their communication so that everything stays on message," said Marland. Media monitoring on specific events or subjects by government departments has expanded to include analyses of social media, such as Twitter, and comment boards. The Finance Department went so far as to do a Twitter analysis on the issue of Minister Jim Flaherty's "budget day shoes" and "hockey gear tariffs" in March, according to access-to-information documents obtained by The Canadian Press. Other documents show that the Canadian Border Services Agency used the highest-rated comments under news articles this winter to gauge public reaction after it was revealed that a reality TV show was filming CBSA raids on undocumented foreign workers in British Columbia. "One of the boards on the CBC website, for example, was overwhelmingly supportive of the CBSA efforts, with readers saying things like 'About time! Go border agents!' (1,523 likes, 412 dislikes)," states the opening "overview" to a nine-page media monitoring report in March, obtained under access to information law. Marland is currently researching media monitoring by provincial governments and says call-in shows and comment boards can provide important qualitative data that governments shouldn't ignore. He also warns of research revealing that political parties have manipulated comment ratings. Calvin Sandborn, the legal director of the Environmental Law Centre at the University of Victoria, has a more jaundiced view. His group helped document repeated cases of scientists being muzzled by government communications rules and staff, a report that convinced the federal information commissioner to take a deeper look. "We're laying off people that are producing scientific information and increasing the number of people that are being used to spin it," Sandborn said when told of the rising numbers of "information services" staff. "That doesn't seem to be a very good democracy trend line, to me." Sandborn suggested that it requires extra bodies to send communications staff to scientific conferences to shadow government researchers and run interference on media interviews — a practice that was documented as part of his group's complaint. Their report also detailed how 11 different civil servants exchanged 50 emails to determine whether a reporter inquiring about a snow study was friendly or not before granting an interview. "Sometimes it takes a whole lot more people to make sure information doesn't get out than to get it out," said Sandborn. Marland, while sympathetic to the demands created by the modern information revolution, said it is a perception problem governments are going to have to grapple with. "Here they are, trying to limit spending in so many other ways and yet somehow they're expanding spending in areas that seem to be anti-democratic."